What’s better than one of your amazing 2019 couples heading down to the city of Canterbury for a woodland pre-wedding adventure… not a lot I can tell you, ha! 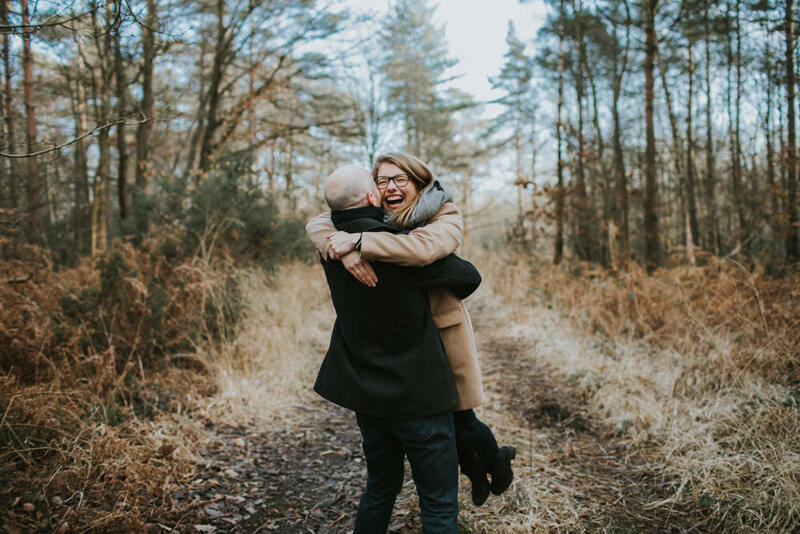 Hannah & James are super deep into the planning of their incredible garden wedding, but to help them take a quick time-out and escape the busy city of London (planning central) and where they live, it meant jumping on the train and travelling down to the Kent Countryside. As you probably already know, I absolutely love making sure my couples are super comfortable around a camera before their wedding day comes around, I mean it really does make the world of difference. A lot of people have never actually been photographed before, or like me, you’re just a little introverted and freeze as soon as someone pulls a whopping camera out in front of you. But as soon as these guys jumped off the train, and the first few frames were fired (with a carefully put together shot list of course). My god, I just knew this was going to be a crazy amount of fun! Running around ancient woodland, and loving life away from the city hustle, can so often be the perfect way to kick start a wedding adventure. Weirdly, around this time of year, a lot of people are put off heading off into the woods around, what with it all being a little bare, but oh my word… magic really does await! With it’s gorgeous tones, that lovely soft winter light and not a soul to be found anywhere, it literally is one of the very best places to have a pre-wedding adventure. And of course to get comfy with being photographed. So before I needlessly waffle on anymore, I’ll let you enjoy the pictures and show you why, enjoy!